Download the National Fact Sheet HERE. 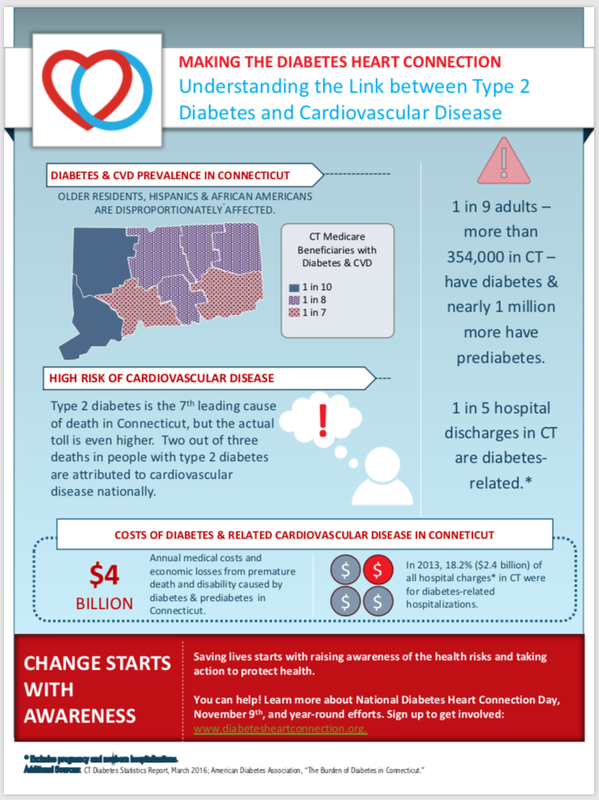 1 in 9 adults in CT have type 2 diabetes & nearly 1 million more have prediabetes. Type 2 diabetes is the 7th leading cause of death in CT.
1 in 7 adults in OH - more than 1.3 million people - have diabetes. Diabetes is the 7th leading cause of death in OH. 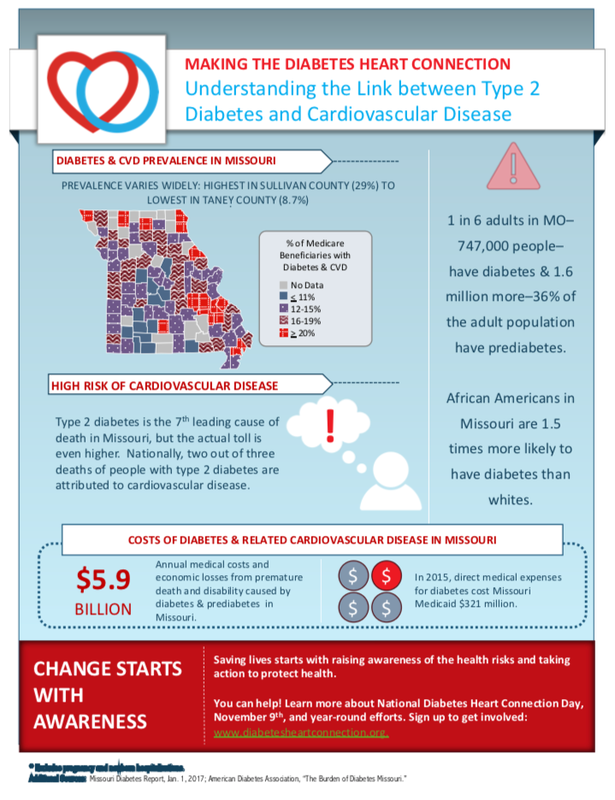 1 in 6 adults in MO have diabetes & 1.6 million more have prediabetes. Type 2 diabetes is the 7th leading cause of death in MO.